We provide heating repair services in the Cornelius, NC area and will make sure we get your heater back up and running in no time. Like any other household appliance, furnaces are prone to malfunction. Whether your furnace is failing to heat your home to your desired temperature or it won’t turn on at all, we’re here to help. 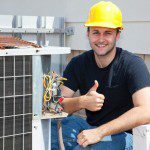 At Cool Comfort Heating & Air, we provide heating repair services in the Cornelius, North Carolina area and will make sure that we get your heater back up and running in no time. We realize that every heating repair job we encounter will be different. For this reason, when we get to your home, we’ll take the time to assess what’s going on and come up with the best solution for your furnace. Then, we’ll go over our repair recommendations with you and answer any questions you might have about the needed repairs. We also realize that when you call to get your heater fixed, you don’t want to wait for days to have a technician come and take a look at what’s going on. Due to this, after you reach out to us, we’ll get to your home as soon as we can and take care of the repair problem in a quick and efficient manner. We’ll also arrive with a fully stocked truck, so you don’t have to wait for any needed parts to arrive. The next time your home’s heating system breaks down, leave things up to us at Cool Comfort Heating & Air. For more information about our heating repair services and what sets them apart, give us a call today. At Cool Comfort Heating & Air, we provide high-quality heating repair services in Mooresville, Huntersville, Cornelius, Denver, Troutman, and Davidson, North Carolina.